Sponsorship opportunities are offered for premiere community events, sports programs, program special events, community centers and park enhancements. The Sponsorship Program is designed to market local businesses while making a positive impact on our community. Unlike other traditional forms of advertising, sponsorships allow a business to be associated with the positive benefits of a community event, recreation program or park enhancement project. Thank you for considering this invitation to become part of our sponsorship program and making a larger impact on our community. 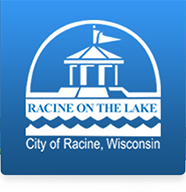 Please contact me at (262) 636-9131 or email tom.molbeck@cityofracine.org. We look forward to having you as a sponsor. A HUGE thank you to our 2019 Strike-Out BIG for Youth Bowling Fundraiser sponsors!